Do you agree that 10-12 are the best chapters yet? Chapter 10 covers mating swarms and colony foundation by new queens. In many ways Solenopsis invicta follows the classic ant colony foundation script, at least at first. Males and unmated queens are produced in spring and hang around in the nest until conditions are right. Mating flights are triggered the day after there is a locally heavy rain. The workers start to mill around while the males and unmated queens fly from the nest. After mating, the queens fly some distance (from monogyne nests) and then land at a suitable location to start a new colony. For the males, it is a dead end trip. The mating swarms occur most frequently in May and June, but can take place in any month if conditions are right. Not all the reproductives leave in any one swarming event. A fire ant queen prefers to land on a roadside or recently disturbed land, although she sometimes ends up in a parking lot (see Interlude below) or swimming pool. If the local conditions are suitable upon landing, the queen immediately removes her wings. She searches for a place to begin digging and prepares a hole by removing soil with her mandibles. She creates a chamber and crawls inside for a typical claustral, or closed inside a chamber, founding. Here in Arizona, both ants and termites are sometimes induced to swarm by sprinkler irrigation. Tschinkel indicates that fire ants can also be induced to swarm artificially by applying water. Have you ever seen fire ants swarming? Now come the interesting part, where fire ants begin to diverge from the traditional ant colony founding script. Queens that found in groups tend to produce fewer minims per individual, but also weigh more at the end of the claustral period. Weighing more has an advantage during the next stage. Interlude: What do you think about the essay “Sharon’s House of Beauty?” Why do you think the fire ants are attracted to such a site? Now the script becomes more like one for “Desperate Housewives.” Once the minims have emerged and the many incipient nests are opened to the world, the tiny colonies begin a process that results in only one nest with one queen. As soon as the minim workers are active, the queens of nests with multiple queens start to fight. Over time one queen wins by dominating the brood pile. Often she’s the heaviest queen. Others are pushed away, where they are more likely to be attacked and killed by workers. The result is a nest with one queen. At the same time, the minim workers may wander from incipient nest to incipient nest. The minims do not fight with minims of other colonies, as would be the case for larger workers from more established colonies. Eventually workers from colonies with a larger number of minims act like very rude guests, pick up brood from other nests they visit and bring it back to their own. The minims from the raided nest may go retrieve their sisters and take them back to their initial nest. The workers from the competing nests may go back and forth for a time. but eventually one colony wins and all the minims and brood end up in the winning nest. Then the raiding begins in another nest, until all in a given area are combined into one. Tschinkel recalls one raiding series where 80 incipient colonies consolidated into just two. As Tschinkel points out, the behavior of minims of abandoning their own mother to join another unrelated queen seems to fly in the face of evolutionary theory. His suggestion is that because the abandoned queen tends to move to the winning colony where, if she is able, she joins the colony and may eventually take over, the minims have a small chance of having their mother be the winning queen even if they leave their natal nest. What do you think of this period in the colony founding process? What about the idea that the minims are moving because of the small chance their mother might win? Wouldn’t it make sense that the minims would stay with their sister brood rather than their mother because they are more closely related to their sisters than their mother? How about reading Chapters 13-16 next? Awesome synopsis! Thanks yet again! During brood raiding, I doubt the minims are staying with their sisters because of relatedness (none of the sisters are destined to be reproductive alates during colony founding, so they’re all “dead ends”. Does that make sense?). I presume that it’s something else. Ah yes, you are right about the sisters being dead ends. Chap 10 — Why yes I have seen them swarm. And…Back when fire ants paid my bills, we used to go collect queens from behind the strip mall in Gainesville FL, just as Walt describes up in Tallahassee. These ants seem to find their natural colonization sites on bare soil visually, perhaps using featurelessness, or more likely, higher reflectivity, to recognize the bare ground. Parking lots ande swimming pools also reflect more than vegetation. Chap 11 — The association of newly mated queens to form new colonies may occur in a (large?) minority of ant species, and is certainly not unique to fire ants. 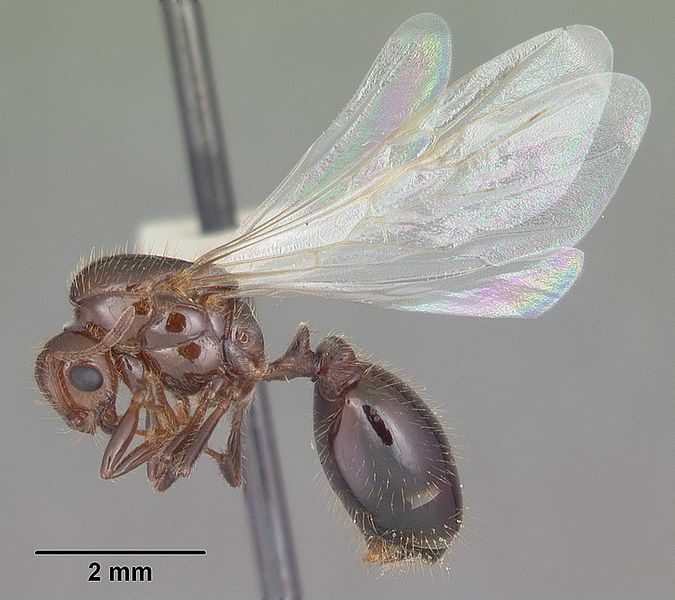 It is reported for a variety of formicine ants and for other Solenopsis, and very likely occurs in other myrmicines (at least; other subfamilies, too? ), also. Some parasitic Lasius (Acanthomyops) queens mob host species nest entrances to gain entry. I think the selective advantage of this pleometrosis (founding by multiple females) is that the chance of any incipient colony of surviving is so low, that even though only one queen survives in the end, her chance is sufficiently higher if she teams up, so that this behavior may be selected. Chap 12 — If I’m understanding him correctly, I disagree with Mark. Even sterile sisters ultimately are the means to an end of producing fertile sisters. 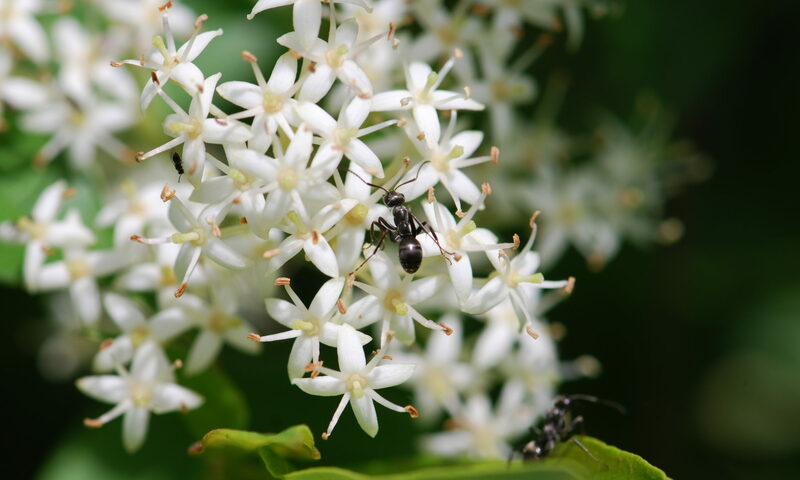 However, it can also be true that the ants don’t *know* their sisters, as such, but simply habituate to genetically determined cues that they are nest mates. Here again, the slight selective advantage is as I mentioned above, if indeed the wandering worker can ultimately get her mother aassociated with a larger batch of workers that can increase the likelihood of the nascent colony’s survival. Your last point about the number of surviving sister workers potentially influencing whether or not their mother takes over as queen is a good one. Has there been any studies showing that newly emerged workers that have been separated from their own mother are able to recognize her? He talks about that a little in the chapter. I’m not sure if there are others.